Woody Allen. USA, 2013. Original version. 98'. 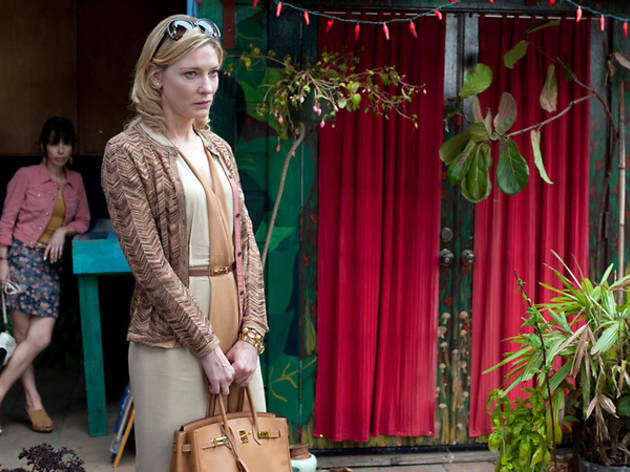 Jasmine (Cate Blanchett), a wealthy and glamorous member of New York's high society, finds herself suddenly homeless and penniless when her husband (Alec Baldwin) is caught involved in a Ponzi scheme. She decides to move to San Francisco to live with her sister, Ginger (Sally Hawkins), a working-class woman who lives with her boyfriend (Andrew Dice Clay) in a tiny apartment. Jasmine, going through the most critical period in her life, turns to anti-depressants and memories of her life in Manhattan.